Deep in the Eastern Mountains lies the territory of the Floating Rocks. For centuries, many tribes have fought for the control of this most sacred place. Today, the battle is yours! When I stumbled upon the background image (see link below), I immediately imagined how great it would be to fight a Warlight battle in this setting. The background image was transferred to an SVG file using 'Vector Magic'. Review by Nathan on 6/13/2015. EDIT - Thank you for fixing the border margin issue! As promised, 5 stars from me! This map is both beautiful and challenging. I think the gameplay is quite good. Even the AI is halfway decent on it. The connecting bridges are a little awkward looking - but that doesn't really matter. I might make them a bit lighter in color to go with the more ethereal motif of the background, but a graphic designer I am not. Review by Mudderducker on 6/15/2015. Being honest. This is another beautiful map and it is very well made. But I think there comes a point were aesthetics are so pleasing that its a distraction from gameplay. Furthermore its a problem in my opinion when aesthetics become better than gameplay. This map really pushes how far you can go with making a map beautiful. Though doesn't mean that its not everyone's taste, I haven't seen enough gameplay yet however. That is a fair criticism. For this map, I really focussed on the aesthetics (my goal was to have a map that looks like a painting) and I may have lost sight of the gameplay. Review by almosttricky on 6/15/2015. Wow, I think everyone is a little harsh on the map being "too good looking." Seems kind of silly to me. Gameplay actually seems pretty original with the floating island idea. Great map overall. Review by Ysayell1 on 6/19/2015. Review by DanWL on 5/30/2016. Review by Xyzwill on 7/3/2016. Review by Fidget on 7/4/2016. Beautiful! And fun, too! I like the combination of continuous regions, like continents, with single, key territories leading to the other islands. I just wish there were super-region bonuses. Review by LittleDragon on 8/14/2016. Review by Captain Ercoupe on 9/13/2016. Review by Andalorium on 9/24/2016. Review by Konstantinos on 12/31/2016. Review by NilsTheBeast on 5/22/2017. Review by Quetzal on 6/4/2017. Great art, well designed and enjoyable. Review by Gabi Marian on 1/8/2018. Review by Jager1921 on 9/21/2018. It's colorful, it's beautiful, it's amazing, it's Leviosá not Leviosa Ron. Review by Steve on 1/29/2019. Review by Sangita Sita on 3/7/2019. Review by Ranek on 6/12/2015. Review by Moose Hole on 8/19/2015. Review by gerbil on 11/29/2018. Review by Donald Trump on 7/3/2015. Review by LordX on 7/9/2015. 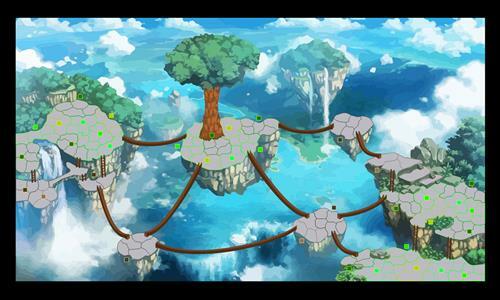 Very beautiful, well draw and challenging map ! Usually I play only with "real maps" but this map is too beautiful to not playing with it ! 5 stars for me. Review by FeastForever on 10/7/2015. Review by OTPM on 11/21/2015. Review by sasa on 7/23/2017. Review by Olkani [PG] on 6/17/2015. looks beautiful but the play on the map is not so special! I would have liked a few major bonuses! and thanks for the tip with 'Vector Magic' and for this 5 stars! Review by Sephiroth on 6/12/2015. Review by Dyxlesi on 6/28/2015. 1 out of 14 people found this review helpful. Review by blob on 7/24/2015. 1 out of 26 people found this review helpful.